GAZA CITY, Gaza Strip (AP) — Gunfire from Israeli soldiers across a border fence killed four Palestinians, including a 15-year-old boy, and wounded more than 150 others, health officials said, as several thousand people in blockaded Gaza staged a fourth round of weekly protests on the border with Israel. Huge black plumes of smoke from burning tires engulfed the border area Friday. Some of the activists threw stones toward the fence or flew kites with flaming rags dangling from their tails. 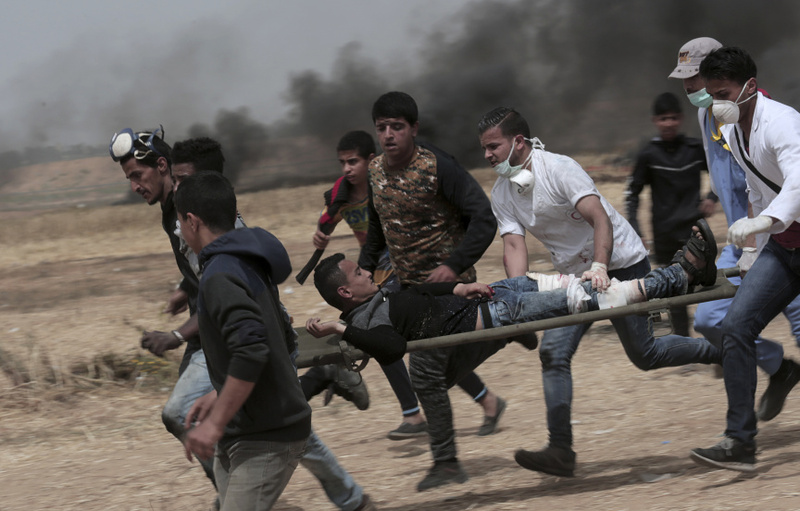 Riyad Mansour, the Palestinian U.N. ambassador, said in a letter to the U.N. Security Council late Friday that Israeli forces continue demonstrating the "cruelty of their occupation machine, responding to the calls of unarmed civilians for freedom and justice with brutal and lethal force." He said one of the latest victims was a 25-year-old disabled man.